FIRST EDITION. Text in German and Hebrew. Two titles. A valuable source for the history of Prague. 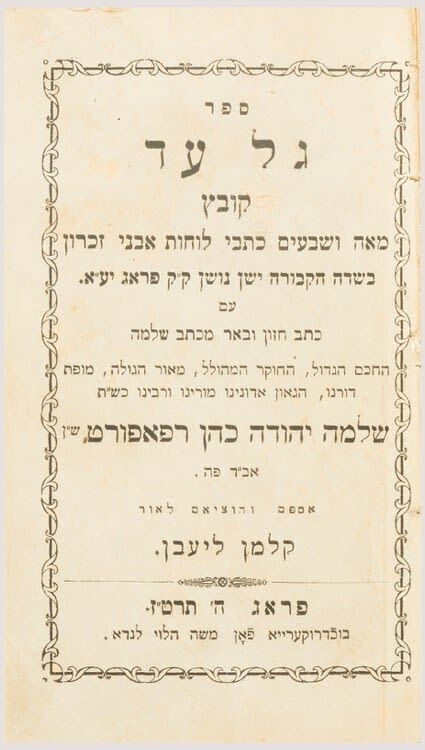 Records 170 epitaphs from the old Jewish cemetery of Prague, with biographical data in German by Simon Hock and a lengthy scholarly introduction in Hebrew by the Rabbi of Prague, Solomon Judah Leib Rappaport (Shi”r).